Its primary goal is to allow current OpenGL applications to leverage the hardware to its full degree by providing the quickest possible path through the driver and benefit from future graphics API trends today. When adopting new concepts such as pipeline state objects and command buffers in current OpenGL applications, developers can also familiarize themselves with these modern software approaches and the implications and possibilities they have on their software architecture. 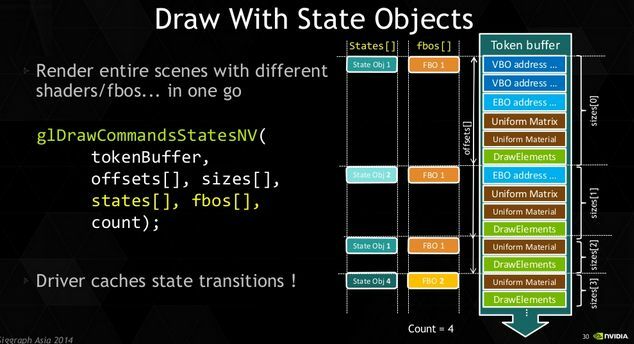 Slides from the GTC 2015 presentation are available HERE (PDF).